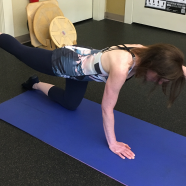 The bird dog exercise is a core strengthening exercise that works both abdominal and back muscles. 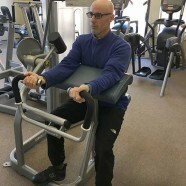 Single Leg, Single Arm KB Press Performed by Robert Payne This is an upper body strength exercise while challenging single leg static motor control. Cable Hip Abduction What is hip abduction you may ask? It’s the ability to move your leg away from the mid-line of your body. Think about when you step to the side like when getting out of bed or getting out of a car.